Francia, 783: Haunted by the Saxons’ attack on her home fortress, Fastrada marries Charles, king of the Franks. 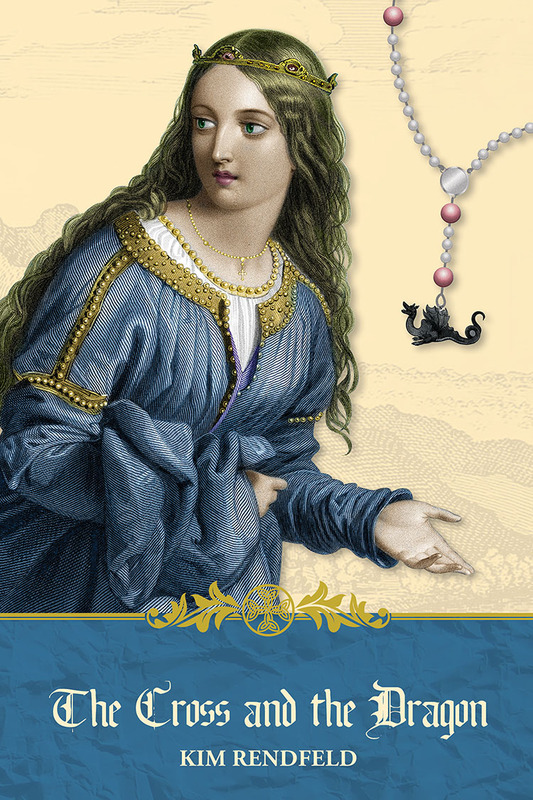 As more wars loom, Fastrada’s greatest peril lurks within the castle walls: her stepson Pepin. Blaming his father for the curse that twisted his spine, Pepin rejects a prize archbishopric and plots to seize the throne. Can Fastrada stop the conspiracy before it destroys the kingdom? Based on historic events during Charlemagne’s reign, Queen of the Darkest Hour is a story of family conflict endangering an entire country—and the price to save it. Ebook available for preorder on Amazon, Barnes & Noble, Kobo, and iBooks. Francia, 778: Alda never forgot Ganelon’s vow of vengeance when she married his rival, Hruodland. As war looms, the jilted suitor’s malice pales next to Alda’s anxiety for her battle-scarred husband. Determined to protect Hruodland, even if it endangers her, Alda gives him a charmed dragon amulet. Is its magic enough to keep Alda’s worst fears from coming true—and defend her from Ganelon? Inspired by legend and painstakingly researched, The Cross and the Dragon is a story of tenderness, sacrifice, lies, and revenge. Reviewers describe The Cross and the Dragon as “addictive,” “a delightfully entertaining and thrilling read,” and “a powerful tale.” For more, visit kimrendfeld.com. The Cross and the Dragon is available on Amazon. Saxony, 772: After the war, Leova has nothing but her children, Deorlaf and Sunwynn. Her husband died in combat. Her faith lies in the ashes of the Irminsul, the Pillar of Heaven. Relatives sell her and her family into slavery. In Francia, Leova vows to protect her son and daughter at any cost. Her determination only grows stronger as Sunwynn blossoms into a beautiful young woman attracting the lust of a cruel master and Deorlaf becomes a headstrong man willing to brave starvation and demons to free his family. Yet Leova’s most difficult dilemma comes in the form of a Frankish friend, Hugh. He saves Deorlaf from a fanatical Saxon and is Sunwynn’s champion – but he is the warrior who slew Leova’s husband. 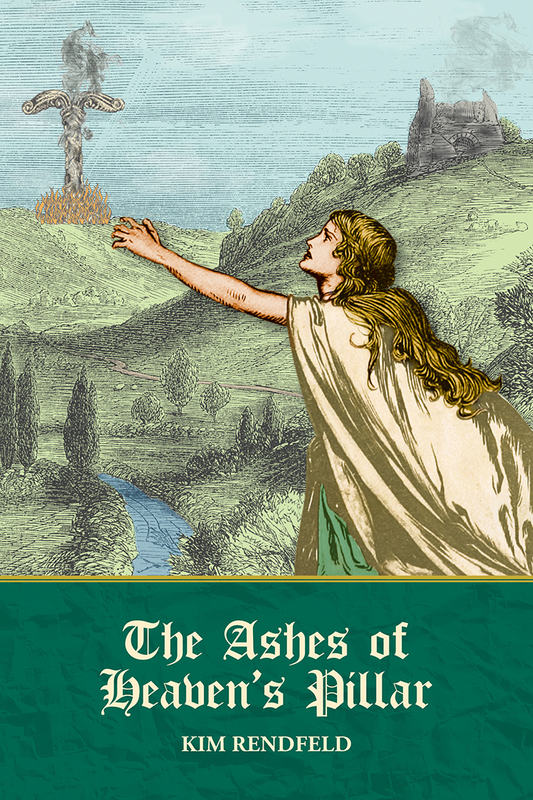 Set against a backdrop of historic events, including the destruction of the Irminsul, The Ashes of Heaven’s Pillar explores faith, friendship, and justice—a tale described by reviewers as “transportive and triumphant,” “captivating,” and “compelling.” For more, visit kimrendfeld.com. The Ashes of Heaven’s Pillar is available at Amazon. Dinas Powys, 479: Queen Gwenhwyfar is content to rule alone. But with her captain dead and the Saxons raiding their way toward her stronghold, she turns to the general Artorius to lead her warriors. His price is more than she wants to pay—her hand in marriage. “Betrothed to the Red Dragon” is available on Amazon.